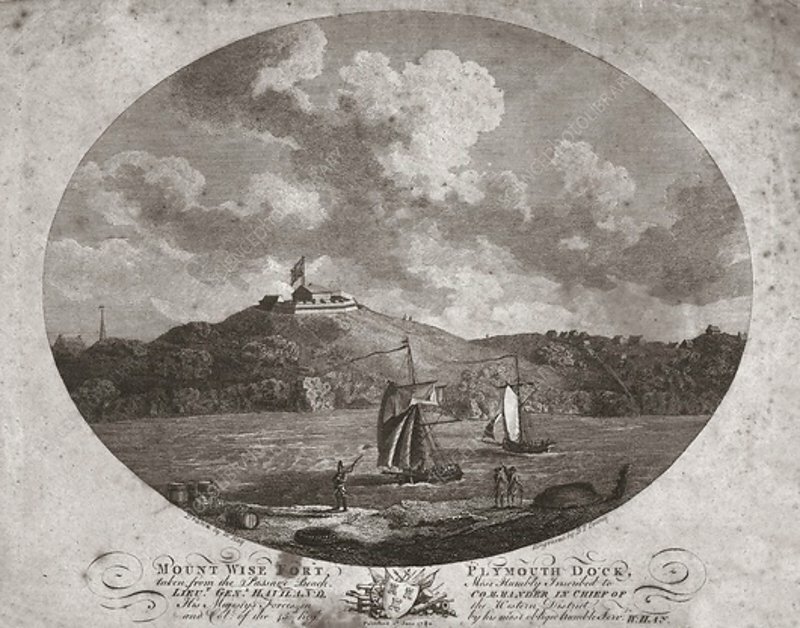 Mount Wise Fort, Plymouth Dock. ', 1780. View of the Fort of Mount Wise in Devon. The mansion house known as Mount Wise was built by Sir Thomas Wise (c1576-1630). It provided the key vantage point for defending against an attack from the sea. An octagonal redoubt with stone walls was built in the 1770s, forming an emplacement designed to house guns for the purpose of defending the Royal Dockyard. Published 1st June 1780.